Garbage disposals are great for getting rid of unwanted leftovers, expired food, and discarded peels. But we often take our disposal for granted—until it becomes clogged or stop working altogether. Follow these five simple tips to extend the life of your garbage disposal and prevent clogs and jams. Run your garbage disposal on a regular basis. Even if you don’t have anything to grind up, turn on the water and run the disposal every few days to move the parts around. Otherwise, the disposal can freeze up, rust, or corrode; and any leftover food inside can harden, leading to odors and clogs. Regularly running your garbage disposal is similar to exercising your body to keep it in top shape. Run cold water "not hot" when using your garbage disposal. Hot water works great for cleaning most things, but not your garbage disposal. Hot water can melts the food your disposal is trying to grind up, allowing the waste to cling to the sides. Cold water, on the other hand, hardens food, making it easier for the garbage disposal to grind it up and push it out the drain pipe. After your garbage disposal has finished grinding up the waste, keep it and the water running for a minute. This ensures that all the food has been flushed out the drain pipe to prevent clogs. You can also run cold water and a little dish soap down the drain after you’ve finished grinding up the waste. This will help clean out the disposal and make sure nothing remains behind or is clinging to the sides. Your garbage disposal is only so big, and its blades and motor are only so powerful, so don’t expect miracles if you feed it large chunks of meat or fruit. Go easy, cut waste into smaller chunks, and only put in a few pieces at a time. Otherwise, you can overwork the disposal and clog or jam it or worse, break it altogether. Soap and cold water will go a long way toward keeping your garbage disposal clean; but once in a while, toss the peel from an orange, lemon, or lime in your disposal. The peel will help clear excess waste in the disposal and eliminate any unpleasant odors. Grease or oil can solidify inside a garbage disposal and cause clogs in the drain pipe. Potato peels contain starch which can cling to the sides of the disposal, making it difficult to flush out into the drain pipe. Glass, plastic, metal, or paper can jam or dull the blades of a garbage disposal. Big bones, seeds, or pits can also dull the blades, jam the disposal, or become lodged in the drain pipe. Expandable foods, such as pasta and rice, also contain starch which can cling to the disposal. In addition, water can cause them to expand in the disposal and cause a clog. Following theses tips can keep your disposal clean and fully functional. If you do run into problems with your garbage disposal, turn the power off at the circuit breaker before attempting to remove a clog or jam, or call a qualified plumber to handle the repairs for you. 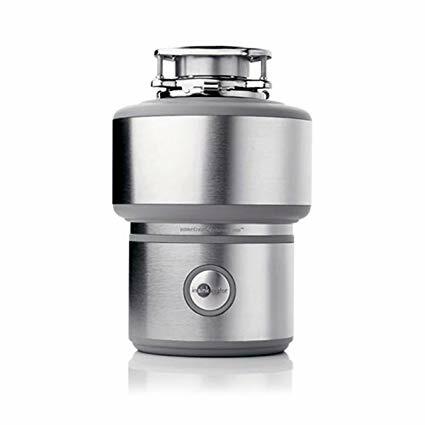 What is the best garbage disposal? Types of Coffee Makers: K..